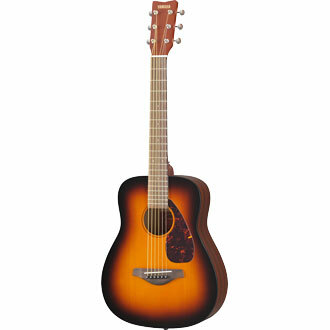 The JR2 is a compact acoustic guitar modeled after our long selling FG series. Its compact size and authentic acoustic tone make the JR2 and excellent take along, play anywhere guitar. Great for campfire sing alongs, road trips or anywhere you want to be able to play. A Mahogany finish UTF finish back & side offers beautiful look and the instrument comes with a durable case.